Let’s face it, you know you need social media to promote your business. In fact, over 4 billion global social media users have joined the ranks to start creating an audience. But which social platform should you be putting your focus and marketing dollars on? So for today, I will go over Facebook and Twitter. These two social networks have very unique differences and advantages to increase the traffic and growth of your business. 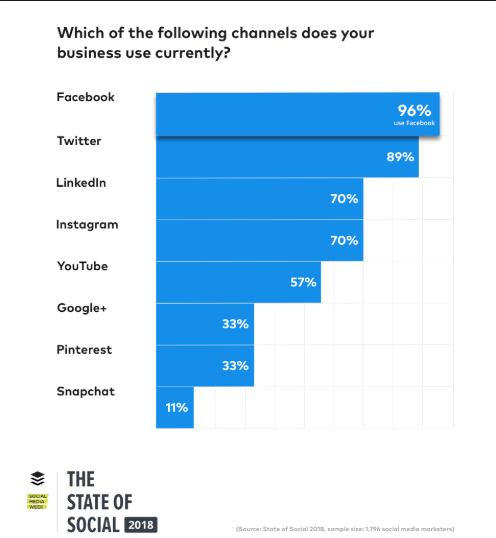 In fact, over 89% of businesses use Facebook and Twitter. These high-level social channels have outranked sites like Google+ and Pinterest. Twitter and Facebook have remained a popular choice for marketers and businesses. So, if both channels are so great, how are you going to decide which one to go with, without being overwhelmed initially when getting your pages started? Well, I'm going to show you how. With Facebook having over 2.14 billion active users it would be near impossible for other social platforms to catch up. At least, for the meanwhile. However, that doesn’t mean that Twitter and other social media platforms do not have their own value to offer up too. So let's look at the facts. This means you have the opportunity to reach your potential customer eight times more often. Meaning you will probably increase sales just by using Facebook. Mobile share is growing big time so your content needs to be mobile friendly. 93% of marketers use Facebook advertising. This relates directly to the first statistic. Facebook will get your business real results whether you're in B2C or B2B. 81% of users check Twitter at least once per day. This means you can reach a large portion of your audience and new potential customers every day. Tweets with images will get an average of 34% more retweets (shares) that plain text. Start using images in your Twitter posts. 83% of world leaders are on Twitter. If you have seen any of my other posts you would know I'm a firm believer that in order to get ahead you don't compete you lead. So if a huge percentage of respected leaders and influencers are on Twitter then you probably should be too. Where are your customers, Facebook or Twitter? 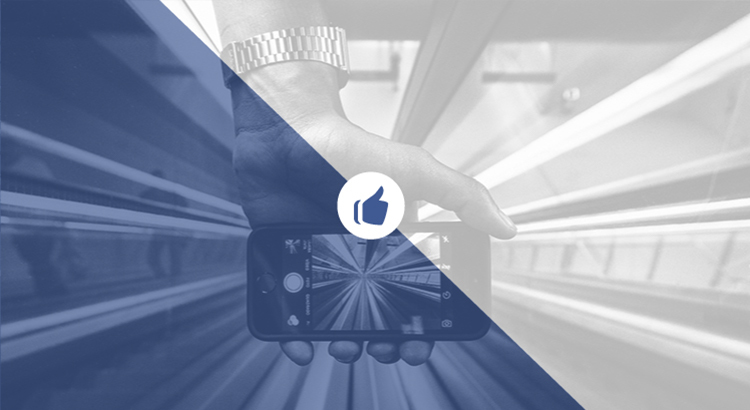 Choosing the right social channel for your brand when it comes to Facebook or Twitter isn’t just about finding the “best” platform based on what has worked for others. But to find out where you have the greatest chance of getting your desired customer. Facebook is easily the most active social media platform. Which means you have a greater chance of finding customers for your business, especially since Facebook owns Instagram and Whatsapp. And because their Business Manager allows you to target users on Instagram you can now have an even greater chance of increasing your traffic and business. Facebook appeals to a range of generations. Everyone from your niece who just turned 13 to your grandmother who is 89 is using Facebook to connect with family, friends, and brands. If anything, this is a testament to Facebook’s ease-of-use and accessibility. However, statistics indicate Facebook is really no longer a “trendy” platform. Now, of course, the stats still show that Facebook is leading the pack for overall audience penetration and growth. There is an overall average demographic you could use to make a choice from based on social media studies. But, each social media platform is going to be widely different each platform offers its own unique way to target the exact audience you want. So making a choice from generalized data, is not what I recommend. I suggest you ask your marketer, agency or use the free tools available to find your audience on each social platform. Though if you look at these demographics you should be able to make a more educated decision and increase the traffic, leads, and sales to your business. 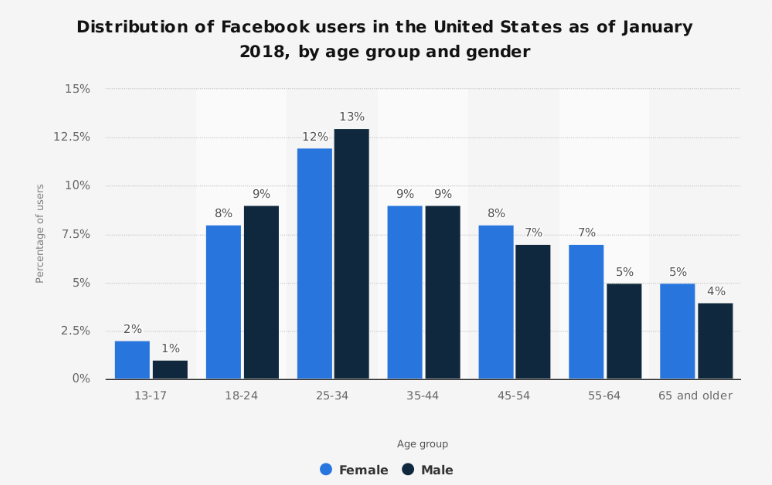 Gender: 77% of females and 66% of males in the U.S are on Facebook. Income: 72% of users make over $75k+ every year. Gender: 22% of males on the internet and 15% of females use twitter. Most common age: 36% of users 18 - 29 years old and 23% are 30 - 49 years old. Income: 54% of users make over $50k+ per year. Common for: thought leaders and trending topics. Despite its relatively small active user base, Twitter has a large audience of journalists, politicians, and celebrities. Which leads to Twitter being known for trending news. Make sure you're creating engaging content that matches your business and is easily relatable to your audience. Facebook or Twitter engagement higher? Engagement is everything if you are looking to increase your reach. With Facebook only allowing to reach 6% of your followers and Twitter receives even lower interactions. It is pivotal to get engagement so algorithms on both platforms show your post to more people and shares get you more reach organically. So both Facebook and Twitter receive very low engagement organically. Instagram, on the other hand, gets a considerable amount of engagement. Perhaps one of the most obvious advantages Facebook has over Twitter is that companies have more time to make an impact on their audience. Tweets get thrown down in feeds immediately, meaning that brands have to constantly post just to get in front of the right people at the right time. It's recommended that you post 30-51 daily tweets to receive noticeable results. Another point worth noting is how often users get on Facebook. You can see that the average user will log on eight times per day. While compared to only five times for Twitter users. However, it’s worth noting that Twitter does have very fast paced news feeds so information moves fast. While Facebook chooses to show the most relevant information to each of its users based on many factors. Finally, when it comes to social media advertising, both Twitter and Facebook give you free tools to establish and track campaigns for your brand. 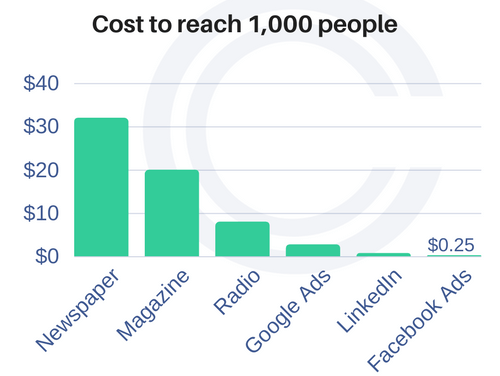 One of the biggest benefits of Facebook Advertising is that it offers a huge amount of targeted options and reach for businesses. With Facebook ads, you can get very detailed with who your audience is through targeting because of the large amount of data they have. This can help keep prices low for your paid campaigns. However, Facebook ads will continue to go up as more businesses are finding out how powerful they are. But don't worry it's still not too late to act. Afterall it still is one of the cheapest places to run ads. According to the 2017 Earnings Report delivered by Facebook, the average price per ad increased by 35% during 2017. Brands are now needing 'pay to play' in order to get more leads, sales, and traffic. 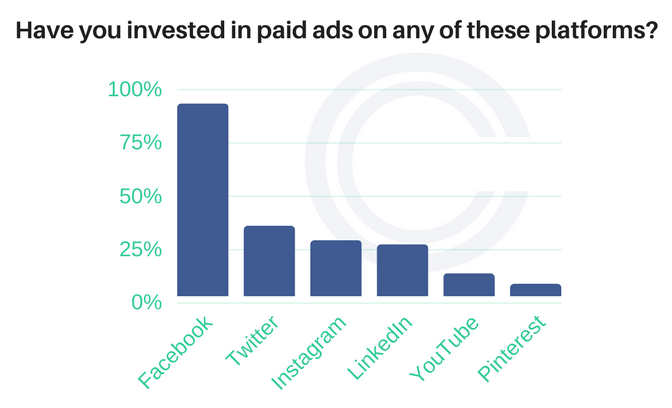 Now, Twitter might not be as focused as Facebook targeting but the amount of advertisers on the platform is far less meaning you have less competition. You need to pay attention to analytics for both platforms to get optimal results. As that is one of the primary ways you can see what is working and what is not allowing you to optimize your ad campaigns. Pages to watch: this feature allows brands to keep track of competitors engagement. Which is a smart tool to use to see what works best on pages that are getting larger results than you. 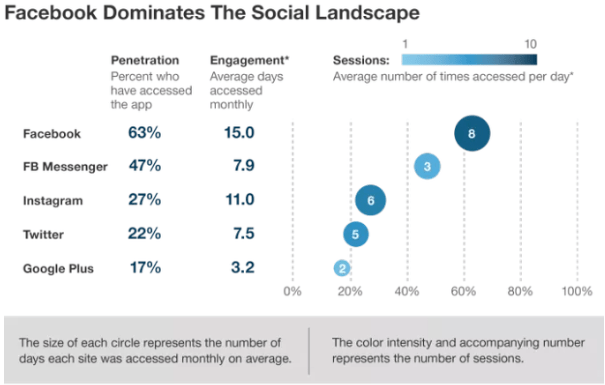 App analytics: this helps brands understand how people are using their app. As it can track a great amount of information giving app developers and marketers insights into who uses their app most and more detailed information you might not be able to track. Facebook messenger: has been growing substantially and with businesses starting to use chatbots for customer service and Facebook messenger becoming a viable option to directly reach your customer. You can greatly increase sales. Detailed analytics: Facebook provides many tracking options. Specifically, the Facebook pixel can be inserted into your website to allow you to run retargeting campaigns, build custom audiences that produce higher results and so much more. Live on Periscope: just like Facebook Live, you can simply click on “Go Live” when composing your post to start streaming to your audience. Twitter cards: Gather emails and generate leads for your brand easier than ever. You can track individual information based on different metrics you have set up and the goals you are looking to achieve. Anti-harassment: Believe it or not they have a tool that allows you to block out any information that you think will hurt your brand image. So if you're trying to build a strong reputation and generate trust with your audience than the anti-harassment feature is a good way to start. If you’re not running a paid advertising campaign on Twitter or Facebook, then the best thing you can do is reach out to your agency about getting a proper campaign set up to generate traffic, leads, and sales. Ideally, it might be helpful to start by posting on both Facebook and Twitter so you can evaluate which one is getting your brand results. This will also allow you to get ahead and build a long-term revenue-producing machine. Ultimately, it will be up to you to decide whether Facebook or Twitter is right for you, and your marketing campaigns. Just because Facebook has more options for targeting and reaching your audience doesn’t necessarily mean it’s the best choice for every brand. The fast-paced nature of Twitter, along with the appeal it brings to world leaders, politicians, and journalists can make it ideal for brands wanting to be ahead and apart of the next trend. Although if you still have no idea which social media platform to go with. Facebook would definitely be the place to start. Both Twitter and Facebook streamline the process of getting your information out there and spread brand awareness, increase brand loyalty and launch traffic to your site. If you want more ways to determine which platform is right for your brand, experiment with a profile on Twitter and Facebook, test your results and try to find a nice balance between each. If you would like to have a campaign implemented for you then feel free reach out.